Register before 04 Mar 2019 for only RM1,299 per person. Register before 14 Jun 2019 for only RM1,299 per person. Register before 18 Aug 2019 for only RM1,299 per person. 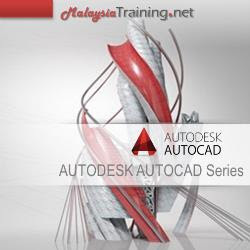 After completing this 2-day advanced training program of AutoCAD, participants should be able to have a greater confidence on how to work more efficiently with this highly popular computer-aided design software. They will be able to apply its advanced drafting tools and methods to create more accurate drawings faster than ever. Working files are included in this training, allowing the participants to catch up with the author throughout the lessons with ease. Completion of AutoCAD Fundamentals Course or similar.